Facial Plastic Surgery is a specific set of surgical operations aimed at eliminating age-related changes, altering the proportions of the face, correcting inborn or resulting from injuries defects. Depending on the aim, the plastics can be both specific (performed on a specific part of the face: nose, eyelids, lips) and complex, involving several operations, for example, blepharoplasty and endoscopic facelift. Such facial plastics provides the best rejuvenation effect that lasts for the longest time. Depending on the procedure, surgery is performed under local or general anaesthesia. Application of modern methods of plastics allows minimizing the traumaticity of surgery, limiting surgical intervention by barely noticeable incisions. After the necessary diagnostics, experienced surgeons of our clinic will choose and offer you the optimal method of facial plastics taking into account all the individual peculiarities – anatomy, defect specificity, skin condition, age and expected duration of the effect. This is a plastic surgery for correcting and lifting of the eyelids. 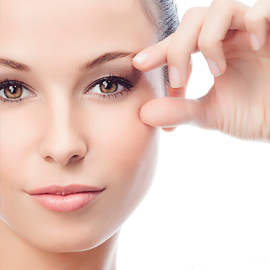 ‘Blepharoplasty’ takes its name from the Greek word ‘blepharos’ which means ‘eyelid’. Eyelids plastics surgery allows to solve a great number of aesthetic issues, from the correction of age-related changes to the alteration of natural shape of the eye. Today it is one of the most in demand and popular surgeries in the world. This is a plastic surgery that helps to carry out nose correction: for example, to change its shape, to remove the hump, to make the nose shorter, or vice versa, longer, to narrow the nostrils, to change the tip of the nose, etc. Rhinoplasty helps to improve the proportions of the face and emphasize eyes, lips, chin, to make the face more feminine or manly. The main task of a plastic surgeon is to give the nose a natural and aesthetic appearance harmonious with all facial features. Reshaping of the nose is a popular and in demand plastic surgery both among women and men. Beautiful lips emphasize the femininity and expressiveness of the face. 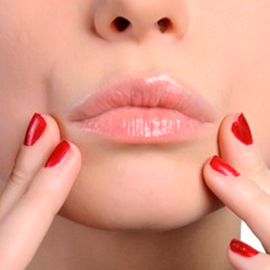 Aesthetic and attractiveness of the lips shape are evaluated by the following criteria: the symmetry of the contour, the correct balance between the upper and lower lip, the width of the vermilion border, the fullness and volume, the upturn of the upper lip. With cheiloplasty the anatomical imperfectness of the upper and lower lips can be corrected, the volume of the lips can be augmented or reduced, the defects caused by unsuccessful operations or injections can be eliminated. There are two types of cheiloplasty: injective and incisive. 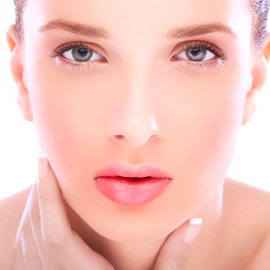 Injective cheiloplasty enhances the upper and lower lips volume with injected preparations: fillers with hyaluronic acid or own fat – this procedure is called lipolifting. This is the newest surgical, but minor-invasive method of the face lift. Earlier, to achieve the effect of face lift, it was necessary to carry out the round facelift and blepahroplasty. The disadvantage of these procedures is the need for incisions, which often remain visible to others and a long period of rehabilitation. Face Tite technique has no analogues in the world. The main benefit of this technique is that during the procedure the saggy, stretched skin in the effected area reduces by itself, without artificial tightening or incisions. This allows to achieve natural effect, as the skin tightens just the way it is required by the patient.